Here are our picks for The BEST Slow Cooker Chili Recipes that you’ll make over and over; enjoy! There are so many interesting variations for slow cooker chili. And using the slow cooker is perfect for game-day food where the chili can stay hot during the game and you don’t have to watch it. 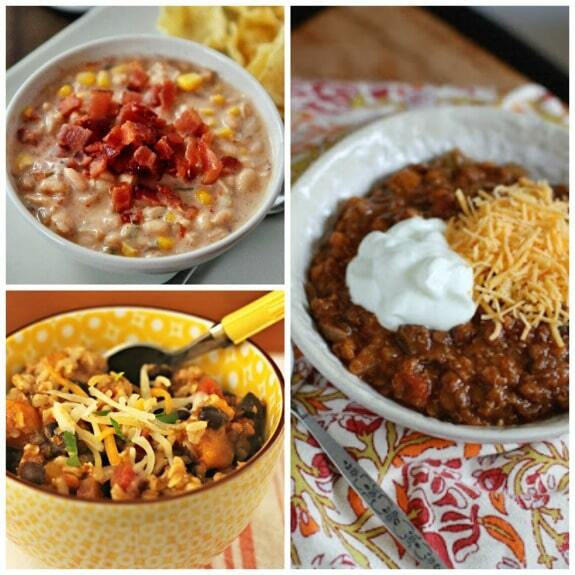 Click here to PIN this collection of Slow Cooker Chili Recipes! 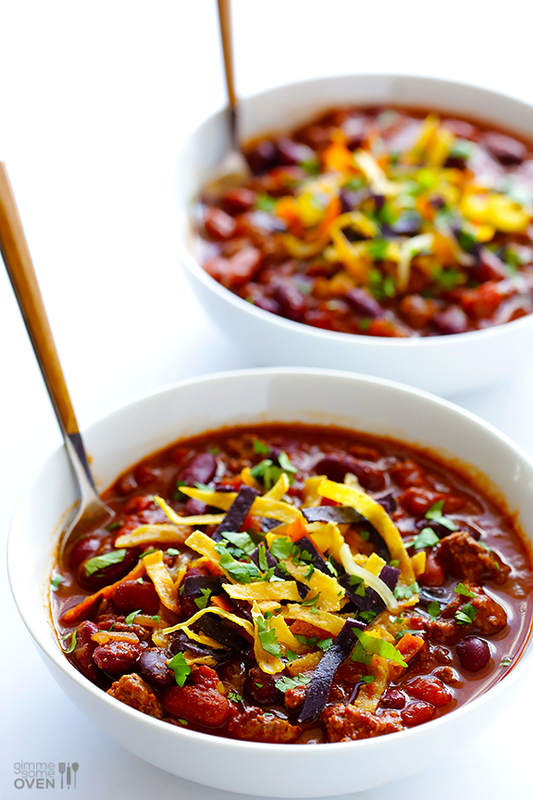 Did you know there’s an entire category of Chili Recipes on Slow Cooker or Pressure Cooker? 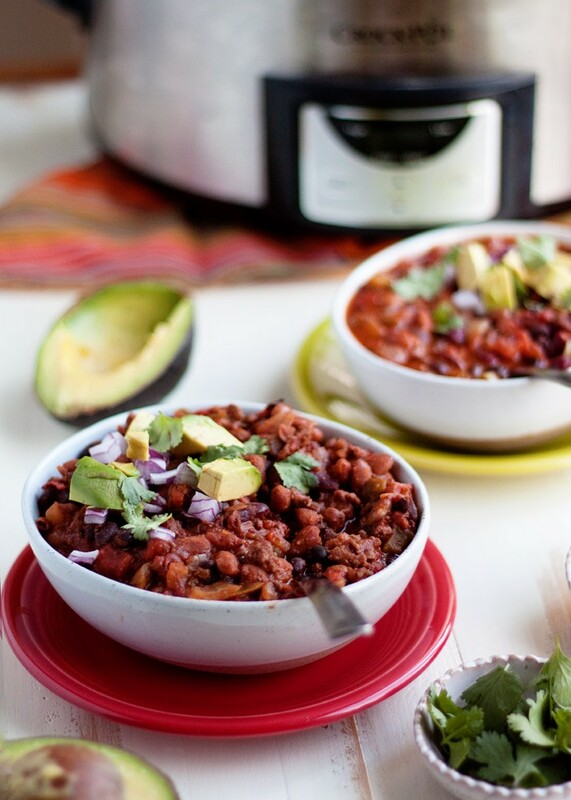 Also, we recently shared The BEST Instant Pot Chili Recipes, and chili made in the Instant Pot is great for an after-work meal. But I’m pretty sure Super Bowl Sunday has to be one of the biggest slow cooker chili-making days of the entire year! 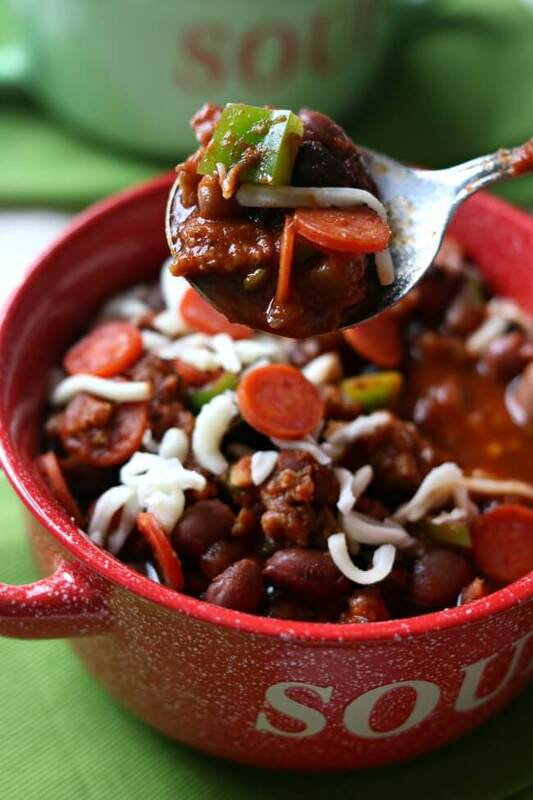 Slow Cooker Chili Recipes will keep the chili hot all during the game, and slow cooker chili is always a winner! 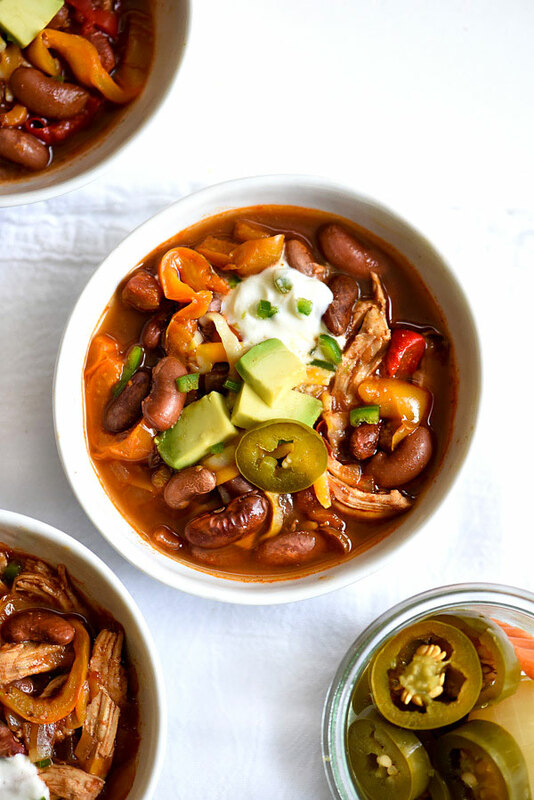 And there are so many different recipes for slow cooker chili that sometimes it’s hard to narrow it down, but this post has our picks for The BEST Slow Cooker Chili Recipes we could find from food bloggers around the web. Did your favorite type of chili make the cut? When I was a kid my mom only made one kind of chili: ground beef, red beans, tomatoes, and just a hint of chili powder. But fast forward quite a few years and bowls of chili later, and I love that now there are so many different chili variations to choose from. For this round-up we’re including chili made with ground beef, ground turkey, pork, or chicken, as well as vegetarian chili. And there are chili recipes with red beans, white beans, many types of beans, and even chili without beans. 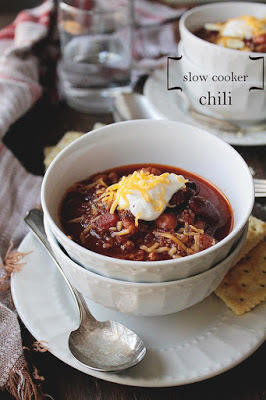 Every blogger included in this round-up has a unique recipe for chili made in the slow cooker. The sky’s the limit on what can be done with variations of chili. So go ahead, choose your favorite recipe from this round-up, combine everything in the slow cooker, turn it on, walk away, and before you know it you will be smelling deliciousness in the making! And if you might happen to want Pumpkin Chili just check out The Top 20 Recipes for Slow Cooker Pumpkin Chili! Slow Cooker Chili from Gimme Some Oven is a classic chili recipe that’s not too spicy. 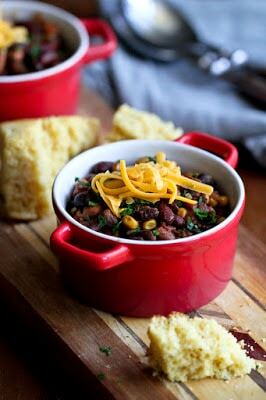 Slow Cooker Easy Three Bean Vegetarian Chili from Kitchen Treaty can be made with or without ground beef. 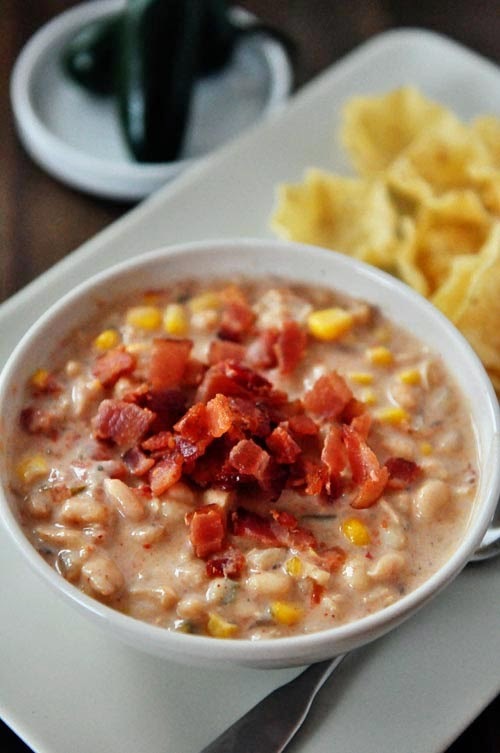 Slow Cooker Jalapeno Popper White Bean Chili from Mel’s Kitchen is flavorful without being overly spicy. Kids who like pepperoni pizza are probably going to devour this Slow Cooker Pepperoni Pizza Chili from 365 Days of Slow Cooking. 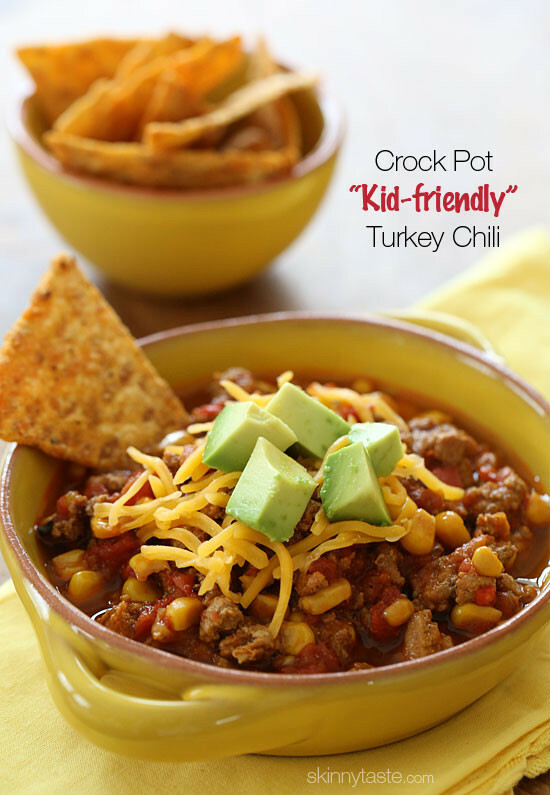 CrockPot Kid-Friendly Turkey Chili from SkinnyTaste is mild, kid-friendly and made with ground turkey. This is perfect for those who like less spicy chili. 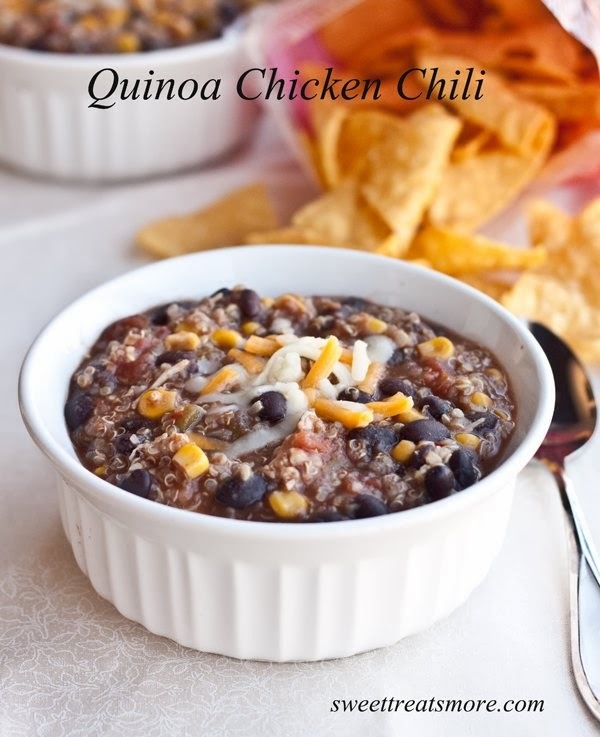 Slow Cooker Black Bean Chicken Taco Chili from Baked by Rachel sounds like a fun option for people who don’t want beef in their chili. This CrockPot Black Bean Chili with Lime and Cilantro from Kalyn’s Kitchen is loaded with flavor! 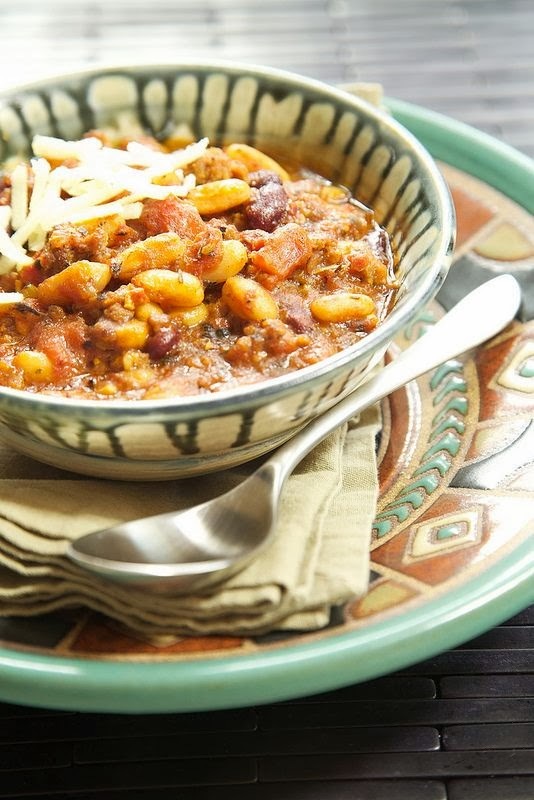 Made with sweet italian sausage this SlowCooker Italian Chili from Apron Strings would be delicious served up in bowls with Parmesan and crostini on the side. 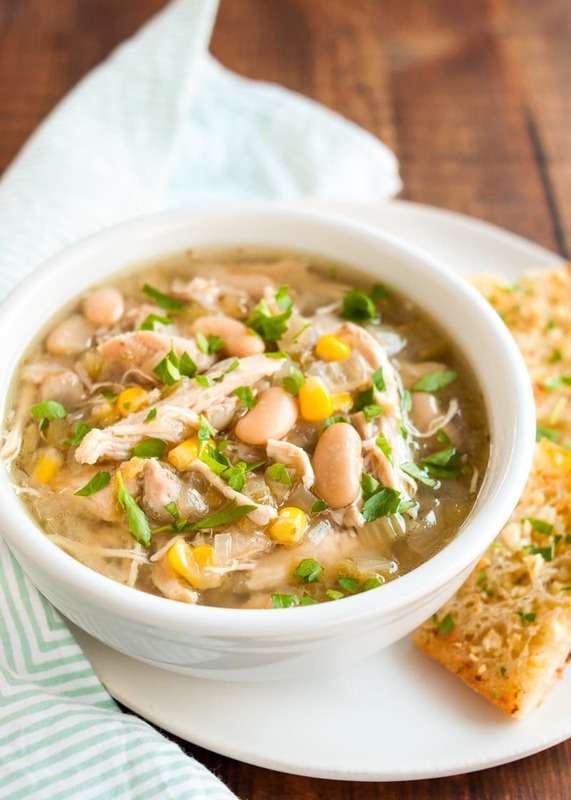 Emma says this Slow Cooker White Chicken Chili from The Kitchn will make your neighbors jealous when they smell it cooking. 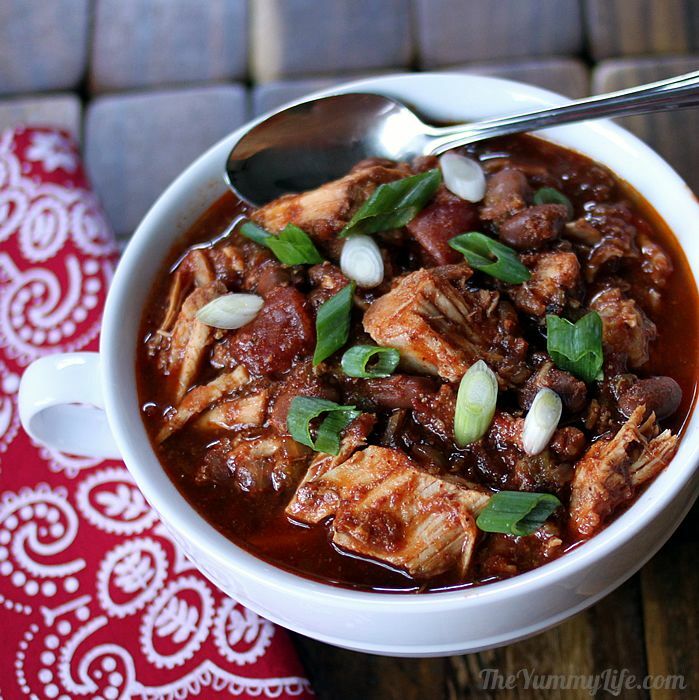 Slow Cooker Meat Lover’s No Bean Chili from A Year of Slow Cooking is gluten-free, low carb, and can be Paleo with the right ingredients. 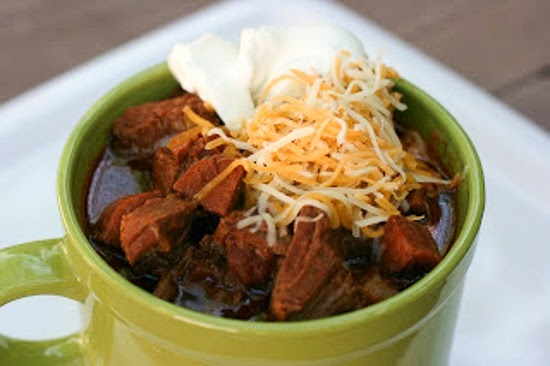 Slow Cooker Chili from Diethood uses ground chuck and beef stock for lots of beefy flavor. 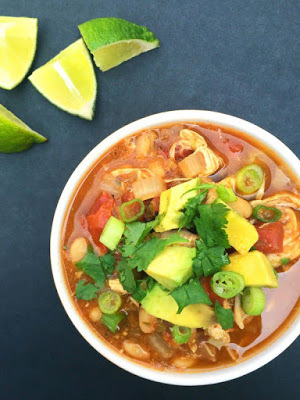 Slow Cooker Quinoa Chicken Chili from Sweet Treats and More is thick and hearty and packed with protein. Slow Cooker 3-Bean Vegetarian Chili from Cookin’ Canuck has a touch of cocoa powder! Slow Cooker Beef and Refried Bean Chili with Salsa and Lime from Kalyn’s Kitchen has two kinds of beans and uses refried beans to thicken it. 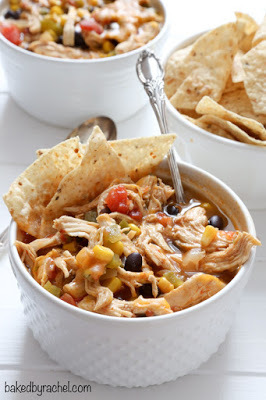 For yummy south of the border flavor try this Slow Cooker Chicken Fajita Chili from Foodie Crush. 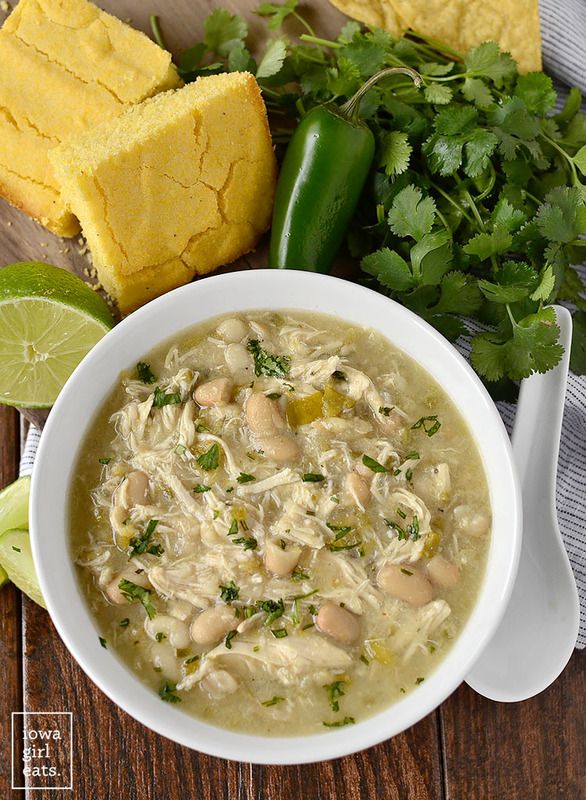 Slow Cooker White Chicken Chili from The Lemon Bowl combines chicken, white beans, and fire roasted tomatoes in the slow cooker for an easy weeknight meal. This Slow Cooker Lentil and Quinoa Chili from Aggie’s Kitchen just might help you get back on track after an indulgent weekend. 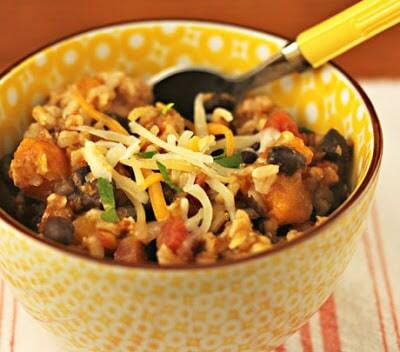 Slow Cooker Turkey, Black Bean, and Squash Chili from The Perfect Pantry uses butternut squash, and it’s gluten-free. 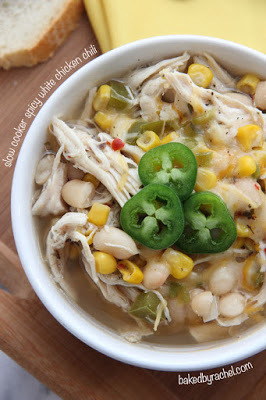 Slow Cooker Spicy White Chicken Chili from Baked by Rachel is a white chicken chili with a spicy kick. Slow Cooker White Chicken Chili from Iowa Girl Eats uses Great Northern beans. 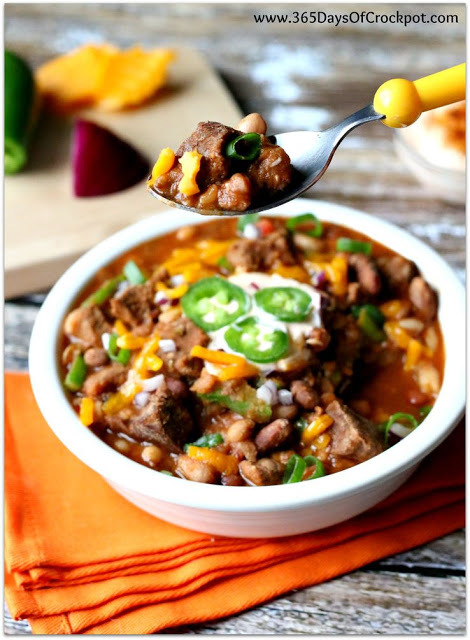 Slow Cooker Pork Ranch Chili from The Yummy Life uses lean, boneless pork roast for the meat, and this chili can be eaten in a variety of ways besides just in a bowl! 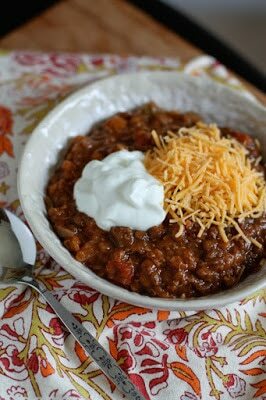 Slow Cooker 15-Bean Chili from 365 Days of Slow Cooking is served with Cajun-Lime Sour Cream! Karen says don’t skip it! You can find Ten Amazing Low-Carb Chili Recipes on Kalyn’s Kitchen if you prefer that! Check out the Beans and Legumes Index to see all the recipes for beans and legumes. Check out Soup or Stew to see all the recipes for soup or stew. 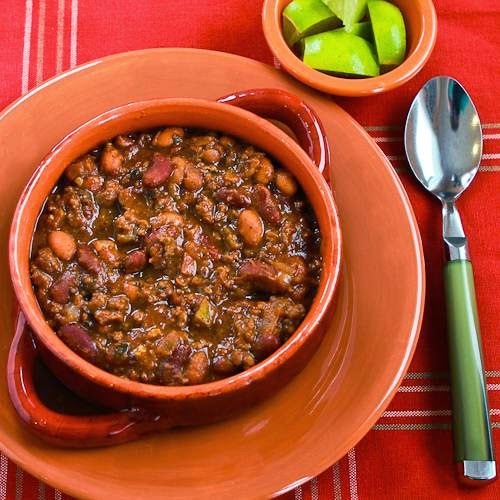 Thanks for including my black bean and turkey chili recipe in this wonderful collection. Time to get the slow cooker on! Lydia, just used mine yesterday for the first time for a while. Definitely that time of year! I like jack's chill from family of feast or something. the ingredients may be long, but it was 5 stars, so it must be a good one! How will I ever choose between these?? ?